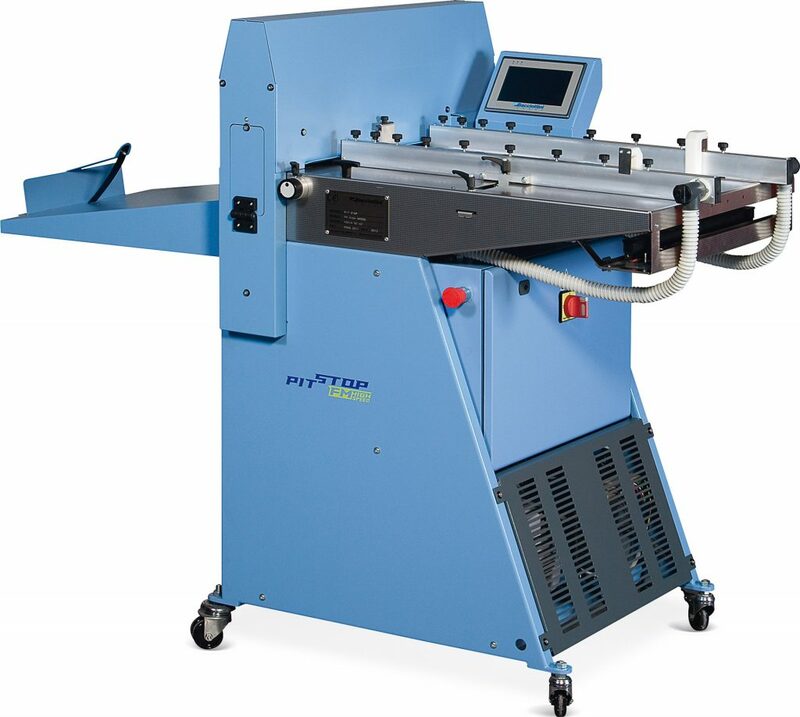 Sheet weight 80 to 600 g.s.m. 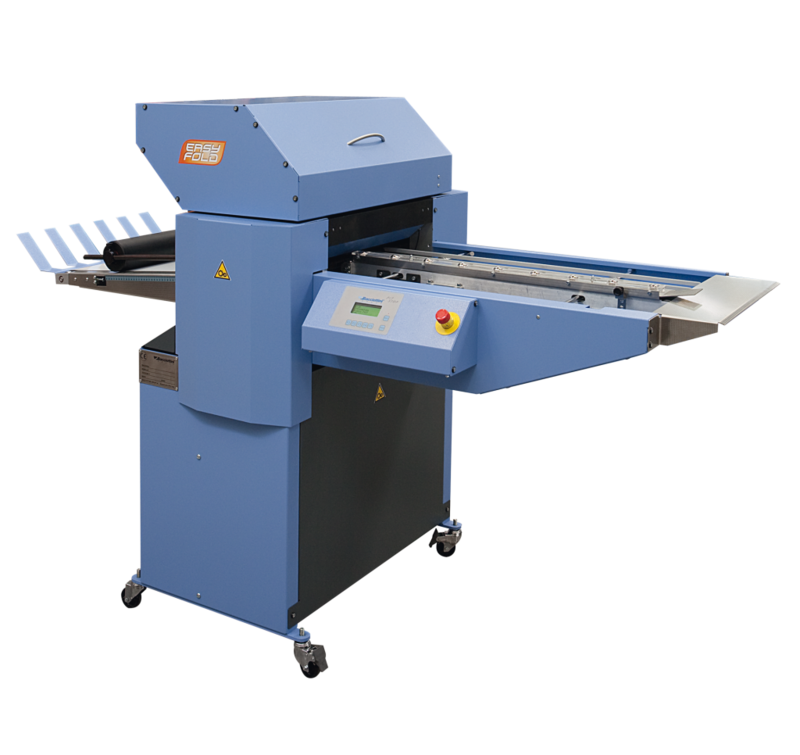 perforating kit 2/1 – 3/1 – 4/1 – micro perf. 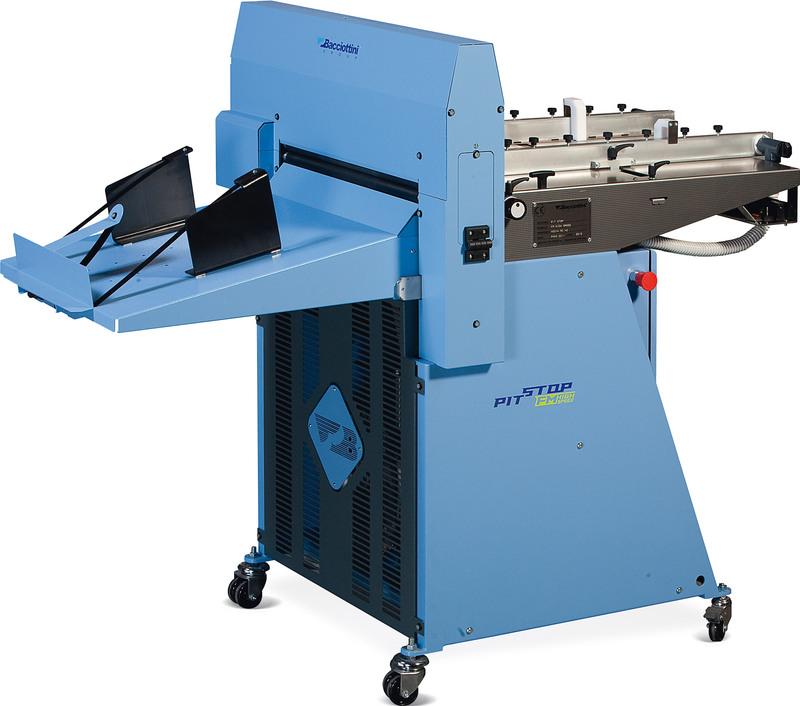 PIT STOP FM High Speed is the highest performing PIT STOP to date, with a maximum production speed up to 14,000 sheets per hour. 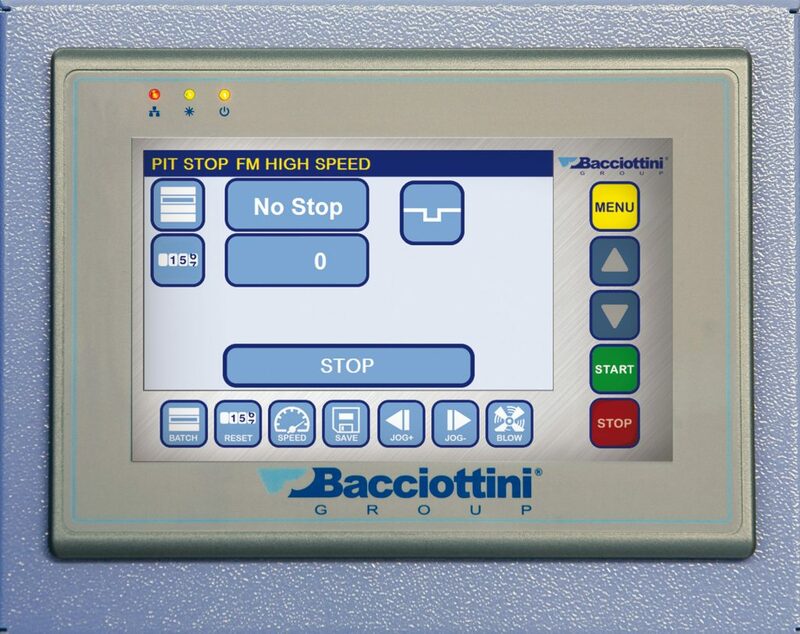 Performance possible thanks to the new “DIRECT DRIVE” system, patented by the Bacciottini Group. 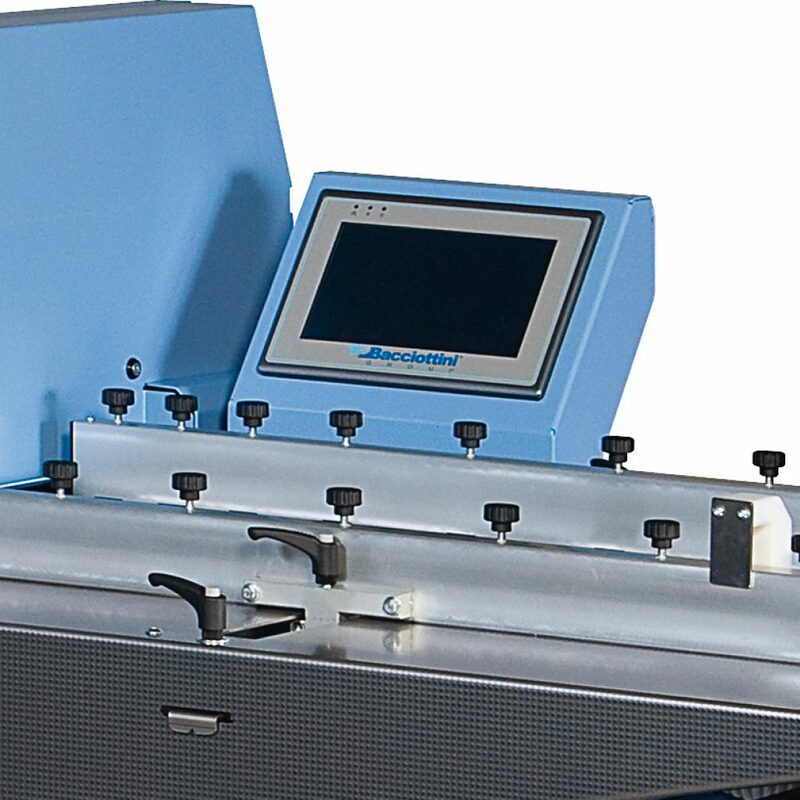 A user friendly seven inch colour touch screen control panel is provided. 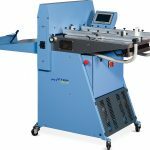 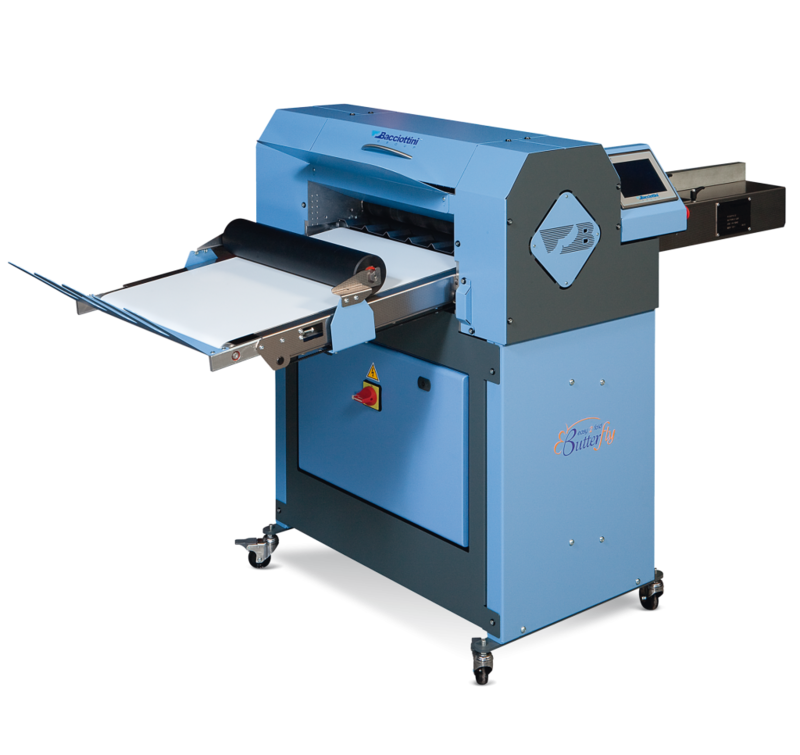 Simple setting functions allows up to 100 creases/perforations per sheet and 200 job memory for easy and recall. 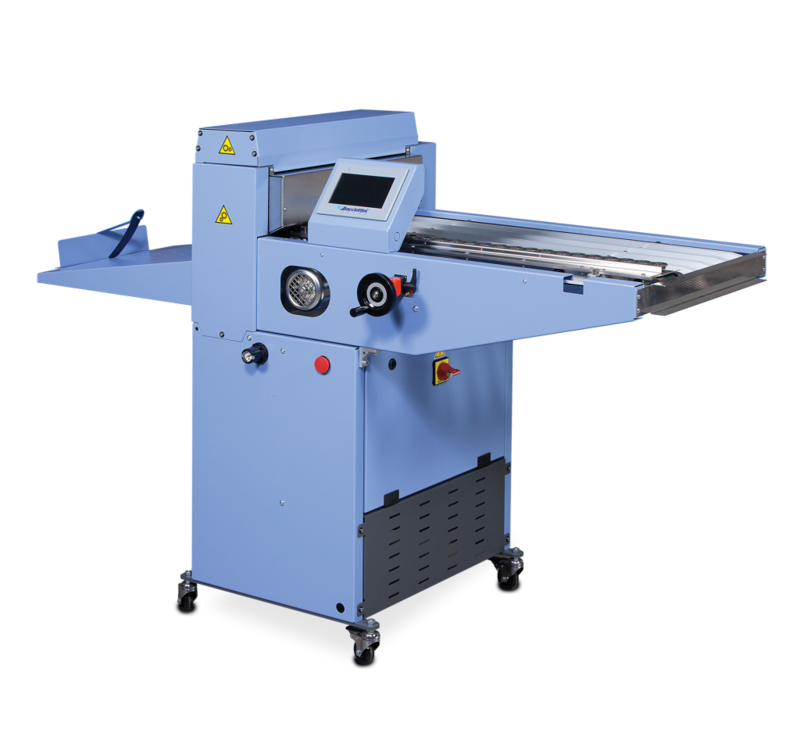 Creasing, perforating and punching tools can be easily interchanged in less than 30 seconds. 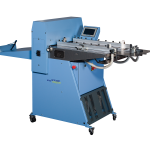 The top loading suction feeder has a stainless steel base and a rubber coated drum for consistent, reliable high speed feeding without damage or marking. 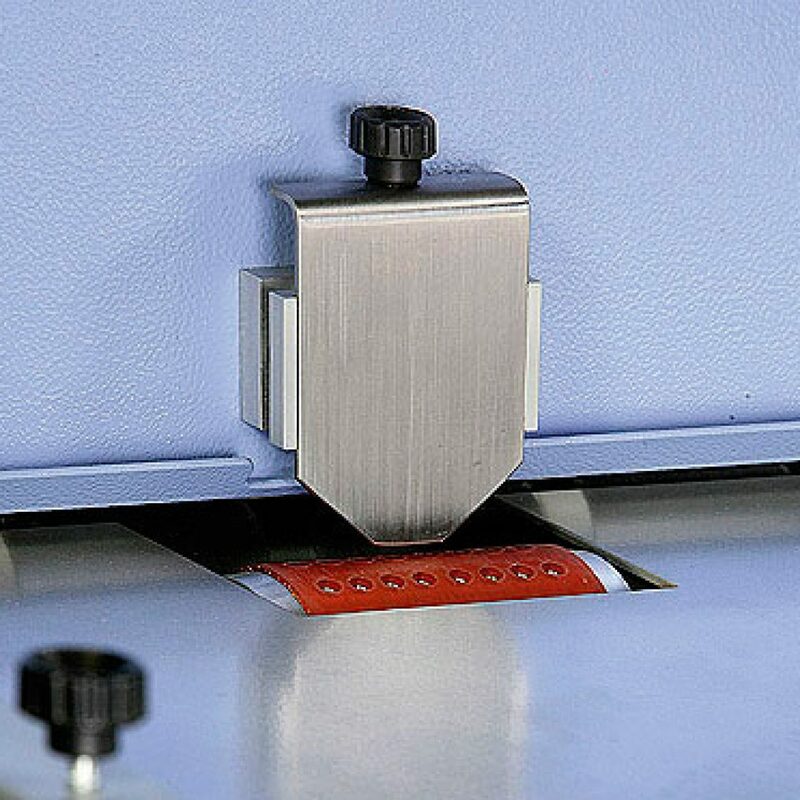 Equipped with a standard creasing tool, has two creasing width options. 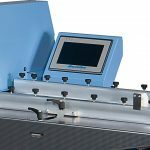 A digital creasing tool is available for all offset and digital stock up to 600 gsm. 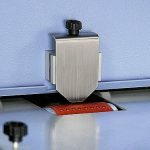 A range of perforating tools are also available right down to a micro perforation which gives an almost invisible ridgeless perforation perfect for a laser printer. 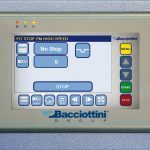 A range of punching tools are manufactured by Bacciottini Group for the PIT STOP FM High Speed for wiro binding and calendar punching including a “thumb cut” tool and two or four hole drill punching. 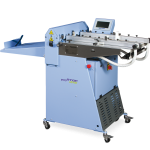 A built in chute for the collection of the waste chips of paper from the cutting tools enables non stop production.